In the Run dialog box, type msconfig.exe and click OK. 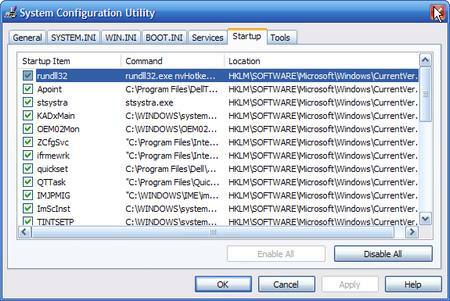 In the System Configuration Utility dialog box, choose the Startup tab. Uncheck any item you do not want to start up when Windows boots.